UK Safety Signs Suppliers to Inverbervie Sign Printers of Fire Exit, Traffic, Warning Signs & Labels. 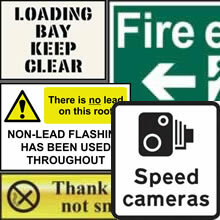 UK safety signs suppliers manufacturers of chemical warning labels and fire escape signs. UK safety signs and labels are safety sign suppliers of warning, fire exit, road traffic, CCTV, security and chemical signs. Fast UK next day delivery is free on label and sign orders over £75 sent within the UK to areas like Inverbervie. 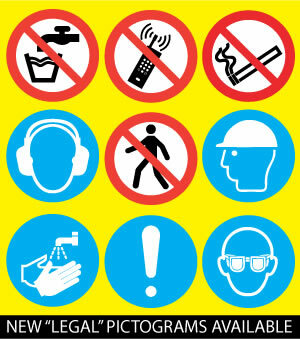 A free safety signage catalogue will be sent with every online order. Check the search all products box below to search safety products as well as our low cost safety signs and labels. Search all products | Enter keywords or safety sign code to search. UK safety signs UK are on Twitter and Facebook as UK safety sign makers and label printers. We supply UK Braille, fire exit safety signs and labels for warning of asbestos, security, CCTV, wet floors, chemicals and high voltage to places like Inverbervie at very low costs. We also reward repeat customers with a 5% discount card. We accept all types payments including Pay Pal and American Express. Navigation Signs and displays. Exhibition displays. Self adhesive vinyl letters. Banner printing. Work wear clothing printers. Litho & label printing. Vinyl graphics & wraps. |-- Safety signs --| Asbestos labels. Armbands badges. Bins for recycling. Braille signs. Booklets. CCTV labels. Chemical labels. Chains. Cleaning stands. Construction sign. COSHH labels. Crowd control. Custom made signs. Cycle signs. De-icing salt bins. Door signs. Dog signs. Electrical labels. Fire escape lights. Fire exit signs. 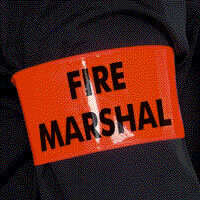 Fire door labels. Fire extinguishers. Fire assembly signs First aid labels. Fixings. Sign post fixings. Food signs. Floor signs. Floor tapes. Free signs. Hazchem signs. Hazardous labels. Hazardous chemical. Hygiene labels. Information boards. Led labels. Machinery signs. Mandatory signs. Marine signs. Multi purpose. No entry labels. Office signs. Parking labels. Photo luminescent. Prestige labels. Prohibition signs. Road barriers. Road work signs. Safety posters. Safety tapes. Simpson posters. Sign posts. Security labels. Scaffold labels. Smoking labels. Smoking shelters. Smoking ashtrays. Street signs. Traffic signs. Testing labels. Toilet signs. Transport labels. Warning signage. Warning labels. Water signs. Vehicle labels. 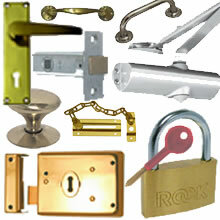 UK braille, fire exit, warning, asbestos, security, CCTV, electrical signs. UK suppliers of street signs, exhibition display stands, a-boards, barriers and flags. * UK Signs and displays. UK Litho & label printing. We only use the new legal safety pictograms on our signs. UK manufacturers and suppliers of European safety signs including, electrical warning labels, smoking and chemical labels for vehicles. UK suppliers of fire exit panels, road traffic and CCTV warning signage for the signs for the UK construction industry in Inverbervie. UK safety signs suppliers of warning signs for CCTV security cameras, fire escapes, road traffic hazards, security and chemical hazards in the construction and manufacturing industries within the United Kingdom and Europe. We will supply your Company with safety signs and labels at competitive low prices, sent with a next day courier to Inverbervie. Our free safety signs include no smoking, emergency fire exit, road traffic, chemical hazard, construction and warning printable labels. Free printable chemical safety signs.